Discover How Erika is Building a Full Time Hypnosis Practice. Happy Hypno-Tuesday! I’m back with another episode of Hypnosis Etc. with the one and only Celeste Hackett on www.CalBanyan.com. This is a very common question in the hypnosis profession. During this episode, I share a few suggestions to Celeste on how to help clients stay strong and motivated. I explain why and how to schedule new appointments with previous clients to help them continue to reach their goal. We describe different methods and techniques that will benefit the client such as direct suggestion work and age progression work. I recommend why the High Road Low Road Universal Hypnosis Script is an excellent technique to use for weight-loss clients. How to help clients stay motivated while trying to lose weight. How to let your clients know that you are still there to support them in their journey. Why and how to schedule appointments with existing and previous clients. What types of hypnotherapy techniques you can use for weight loss. Why teaching 7th Path Self-Hypnosis® will help clients reach their goal and other issues they may struggle with. More recommendations to help clients stay on track and keep the weight off. We have free hypnosis and hypnotherapy articles written by respected authors and trainers in the field of hypnosis and hypnotherapy that you can read here. In addition, check out our Hypnosis.ORG E-Zine, where we have hypnotist who post a new article every quarter about hypnosis and other techniques. 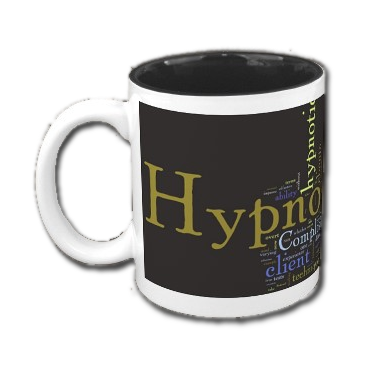 Exciting News… Congrats to our new winner, Tracy Douga, for winning a FREE Hypno-Mug! Celeste’s website for hypnosis training is www.dallashypnosiscareertraining.com, for hypnosis sessions is www.familyfirsthypnosis.com and medical hypnosis is www.dallasmedicalhypnosis.com. 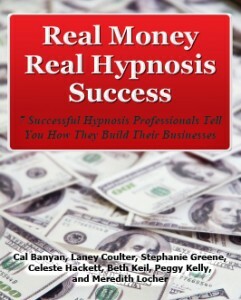 Hypnosis is a great tool that I use regularly as a part of the NLP TimeLine process. What keeps my clients motivated for losing weight or whatever the issue is, is clearing limiting decisions with the TimeLine process that is at the bottom of the limiting pattern, such as feeling unlovable, not safe, and so on. Hello Jane – Thanks for your comment. NLP techniques can complement 5-PATH in an excellent way.